On March 31, 2015, the cadets went to Memphis TN, for the annual cadet ride. Cadets left Saturday and returned early Sunday morning; enjoying the greatest experience imaginable. Cadets went to the National Civil Rights Museum, experiencing what life was like during the Civil Rights Era. 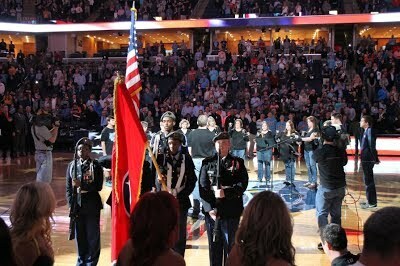 Afterwards, cadets went to the Grizzlies vs. Trailblazers game, where color guard presented the colors on national television!! Beautiful trip! !